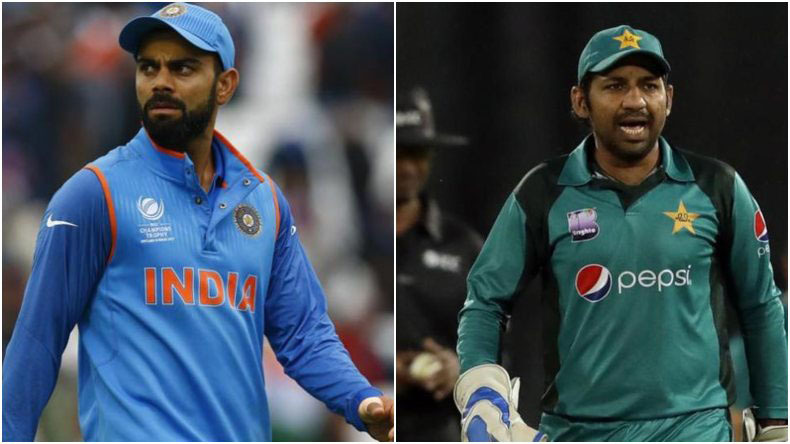 World Cup 2019 India vs Pakistan: Uncertainty looms over match; full schedule of India matches here: The BCCI has not taken a final call over the scheduled match between India and Pakistan in Manchester on June 16. The former cricketers have called on the country to boycott playing against Pakistan, following the Pulwama terror attack on February 14. Meanwhile, Virat Kohli-led team would play nine matches in the first stage of the World Cup 2019. The team would play first match against South Africa on May 30. World Cup 2019 India vs Pakistan; full schedule of India matches: The Board of Control for Cricket in India (BCCI) has announced the squad of Team India for the forthcoming World Cup 2019 which would start from May 30 to July 14. The first match of the International Cricket Council’s (ICC) mega event would be played between hosts England and South Africa on May 30. Virat Kohli-led team would open its campaign against South Africa at The Rose Bowl in Southampton on June 05. All the eyes would be on the fourth match of India which is scheduled against Pakistan as BCCI is yet to take a final call over the fate of the match. Clouds of uncertainty are still looming over India vs Pakistan encounter. With each passing day, it would be clear whether Team India face Pakistan or not. It all started after the Pulwama terror attack on February 14 when 40 CRPF soldiers were killed in the suicide bombing. The attack was claimed by Pakistan-based terror outfit Jaish-e-Mohammad. The country demanded Pakistan to take stern action against terrorists and took several steps to isolate Islamabad globally. It was followed by the call from the BCCI, cricketers, fans, and politicians to boycott World Cup match against Pakistan. The BCCI appealed to the ICC to sever ties with the countries where from terrorism emanates. But the world cricket body turned down the request. Former cricketers including Sourav Ganguly, Mohammad Azharuddin, Harbhajan Singh and Aakash Chopra have said that India should not play the country which supports the terrorism. However, veteran crickets like Sachin Tendulkar and Sunil Gavaskar opined that India should play the match and defeat Pakistan. The cricketer-turned-politician Gautam Gambhir said that the country should be ready to forfeit World Cup 2019 final against Pakistan if both the countries qualify for the same. Gambhir, who recently joined BJP, said that people of the country should stand with Team India if they decide against playing the match. Meanwhile, Team India would play nine matches in a round-robin, where all the participating countries would face each other.